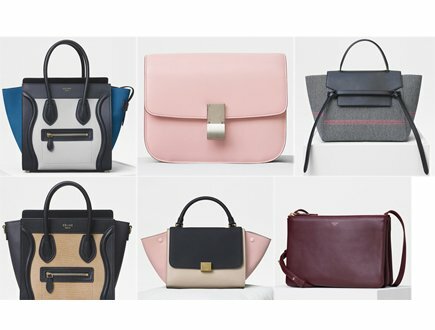 So many bags, so little time. 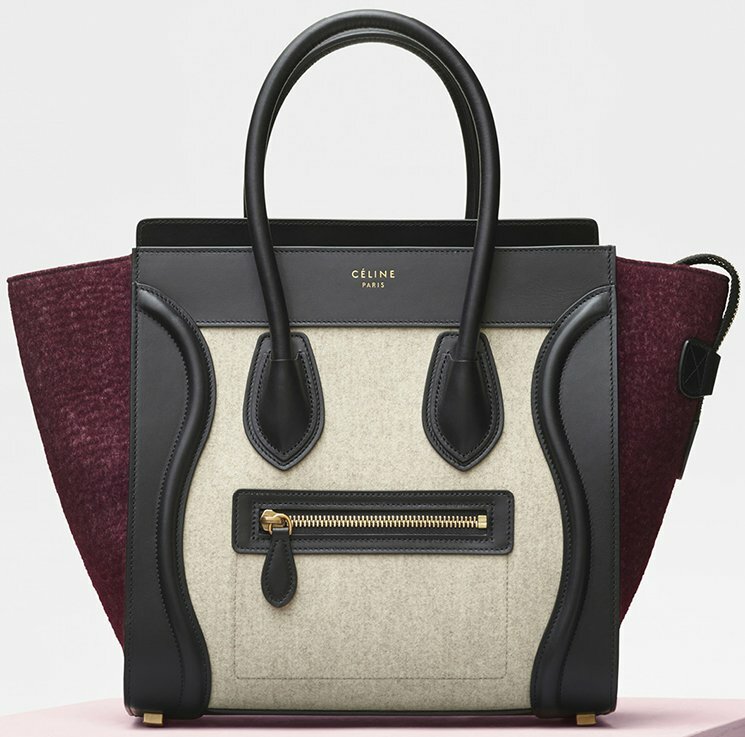 The Celine Fall 2017 Collection is packed with a lot of classic handbags in new colors. 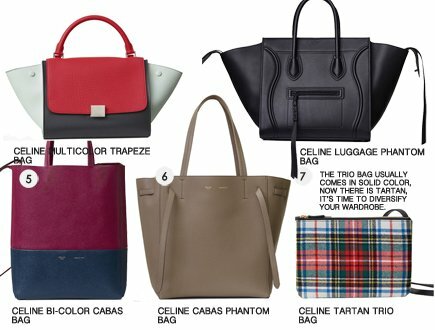 There are also new styles of our favorite Luggage Bags, Phantom Bags and Trapeze Bags. 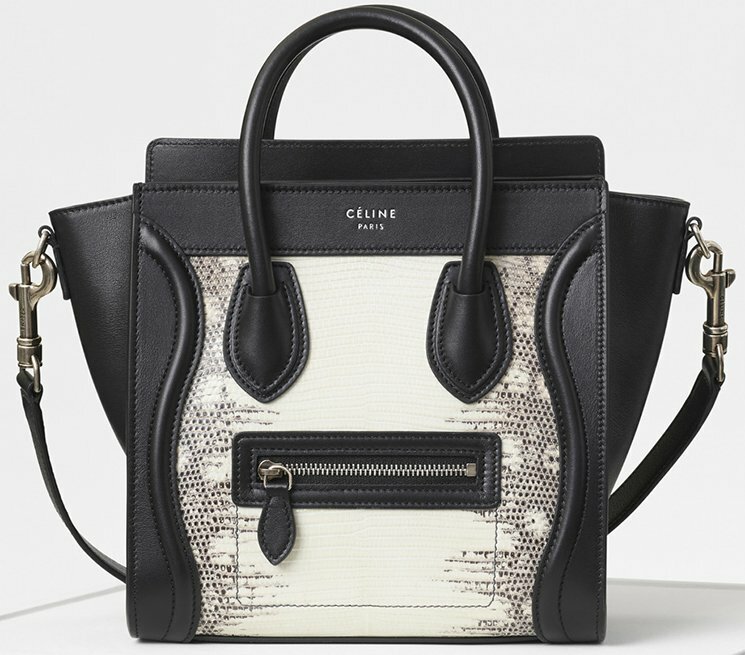 And although Celine remains true to its minimalistic policy when it comes to designing handbags, their latest classic bags in new embellishment are somewhat bending this rule. 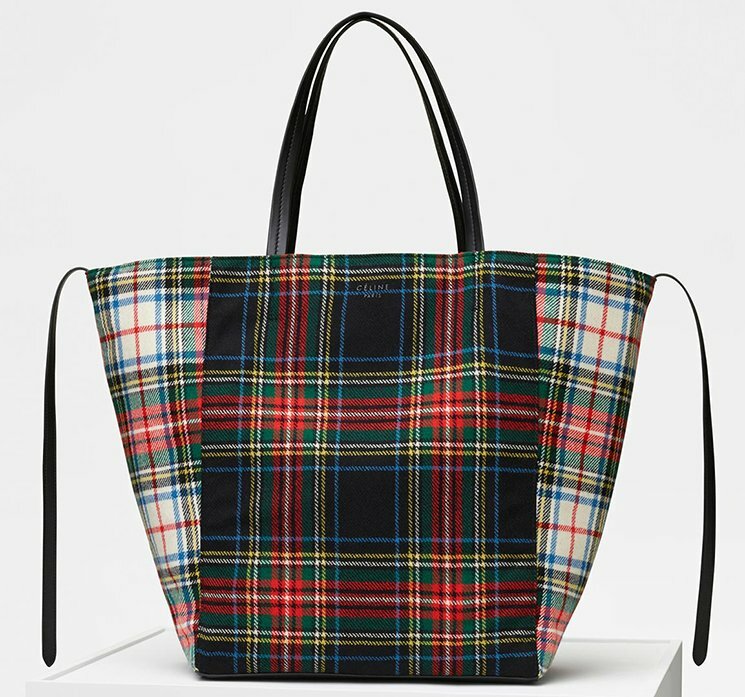 Also Tartan is again hot right now. 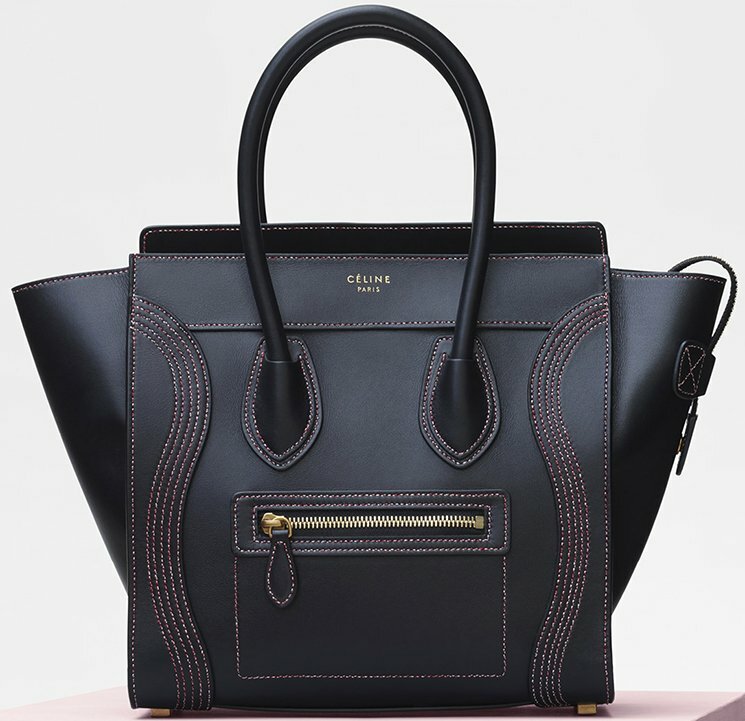 Celine has introduced the Tartan style in their classic bags like the Trio Bag, Cabas Phantom Bag and Luggage Bag. 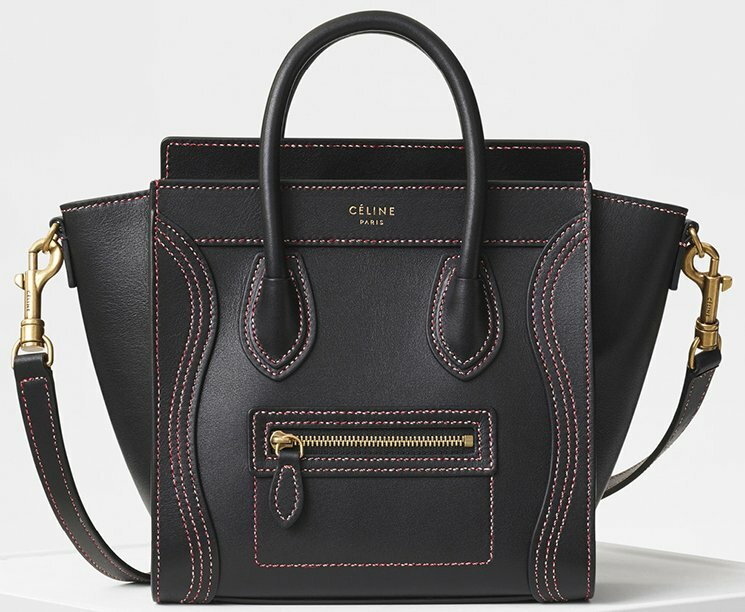 Let’s talk Trapeze first. 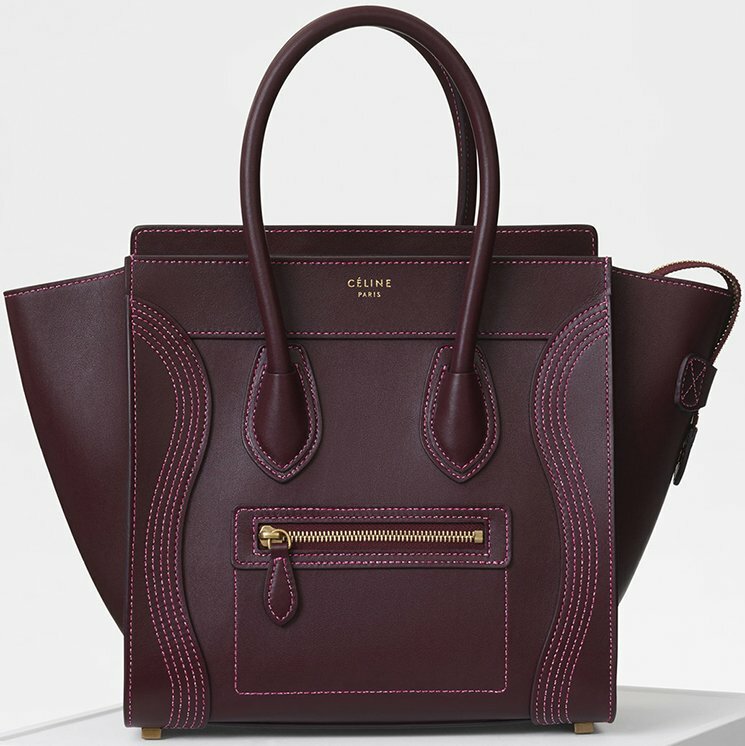 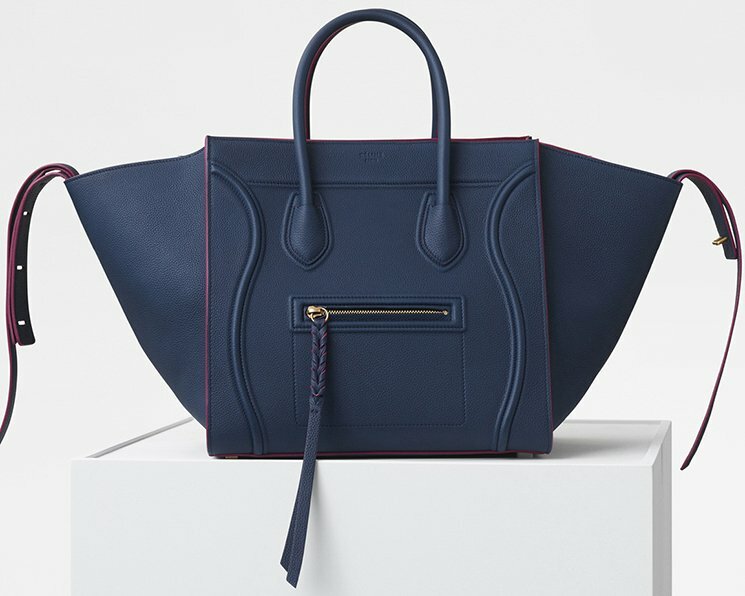 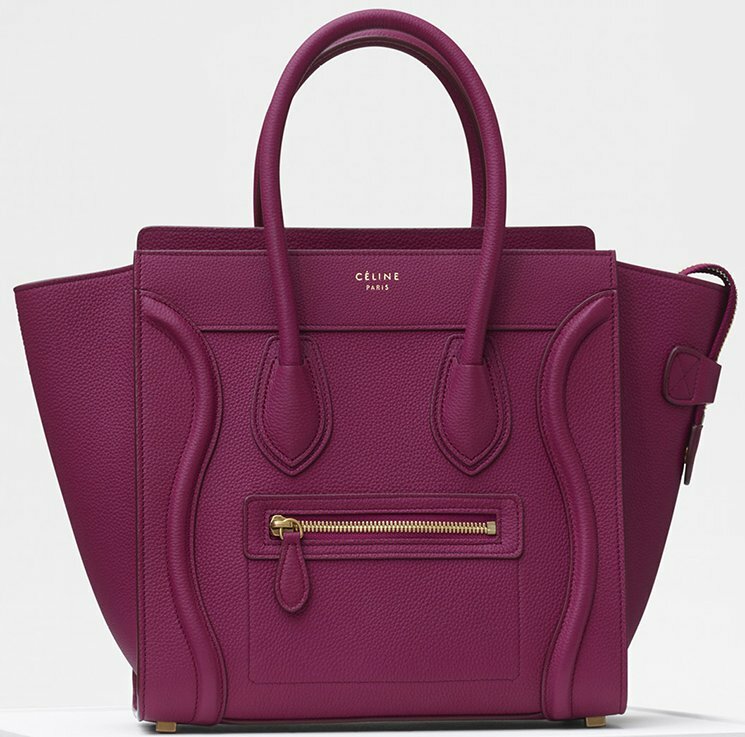 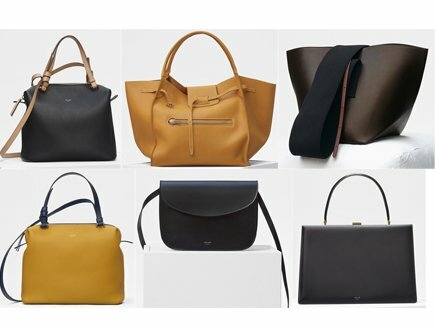 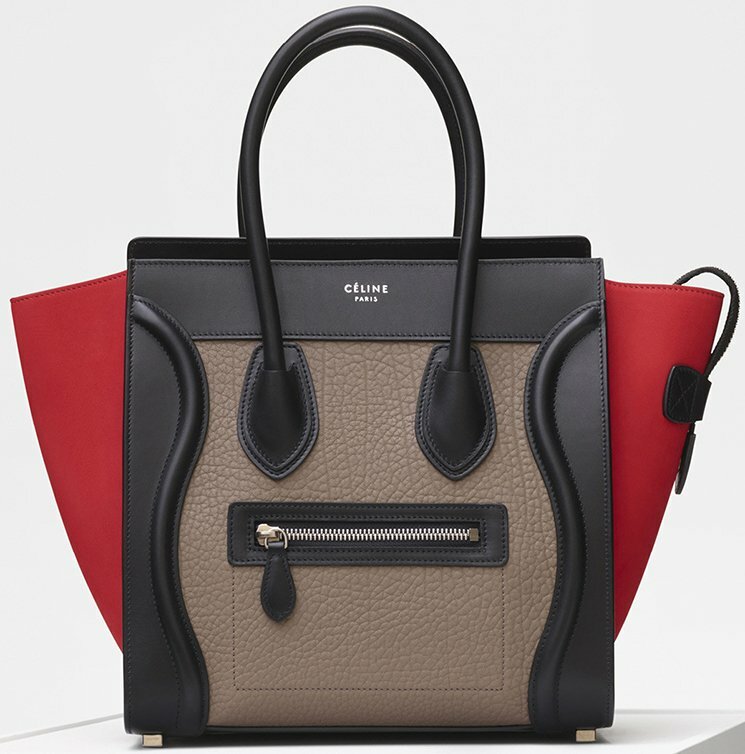 For the new season, Celine has introduced new series of tri-colored Trapeze Bags. 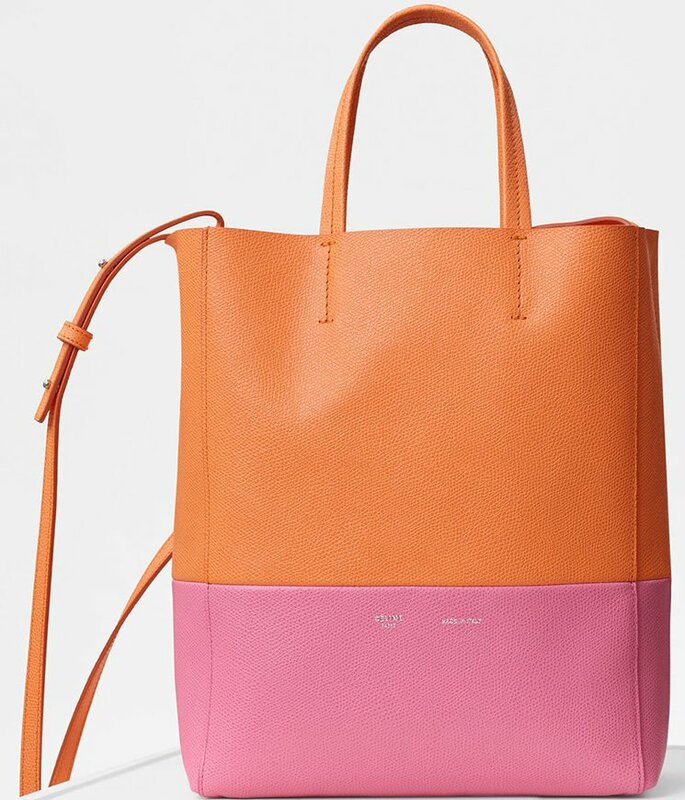 The new colors blend very well with your summer outfits as well as winter outfits, which basically make these bags the perfect choice. 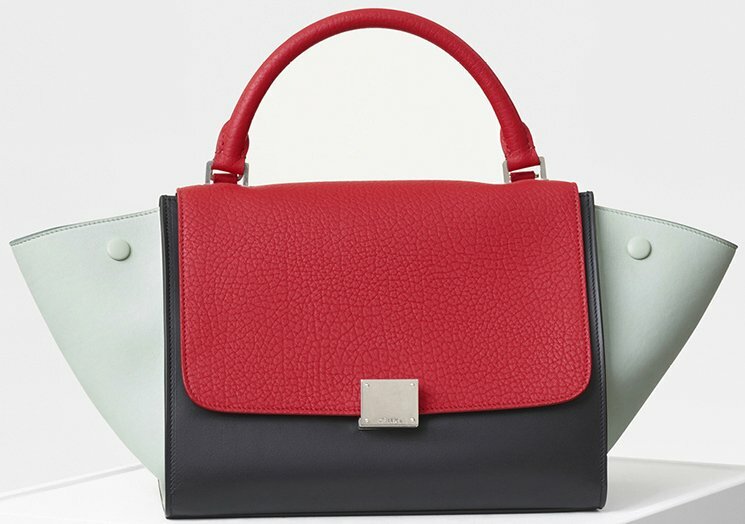 Here’s an unique mixture of colors in red for the attention-drawing, black to balance the overall look and baby-blue wings for the cuteness. 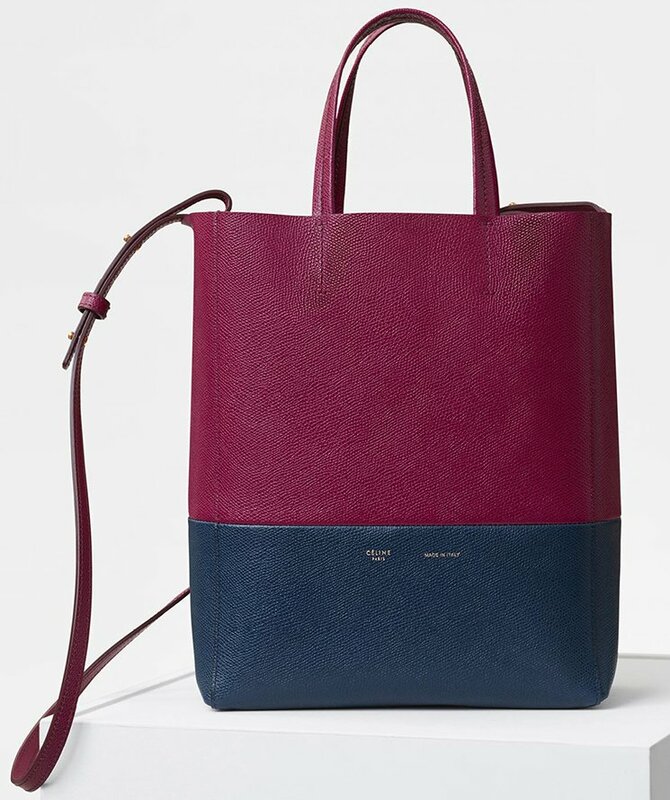 The Small Trapeze Bags always come with a removable leather strap that’s 15 inches. 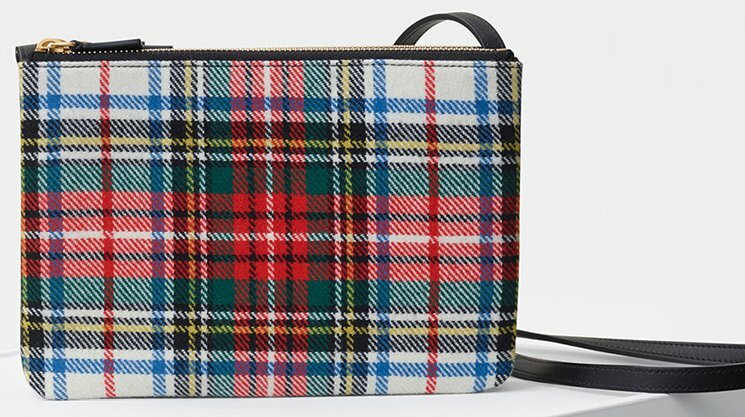 The Tartan print might not be everyone’s cup of thee, but it’s a style that when blended well, it looks fabulous. 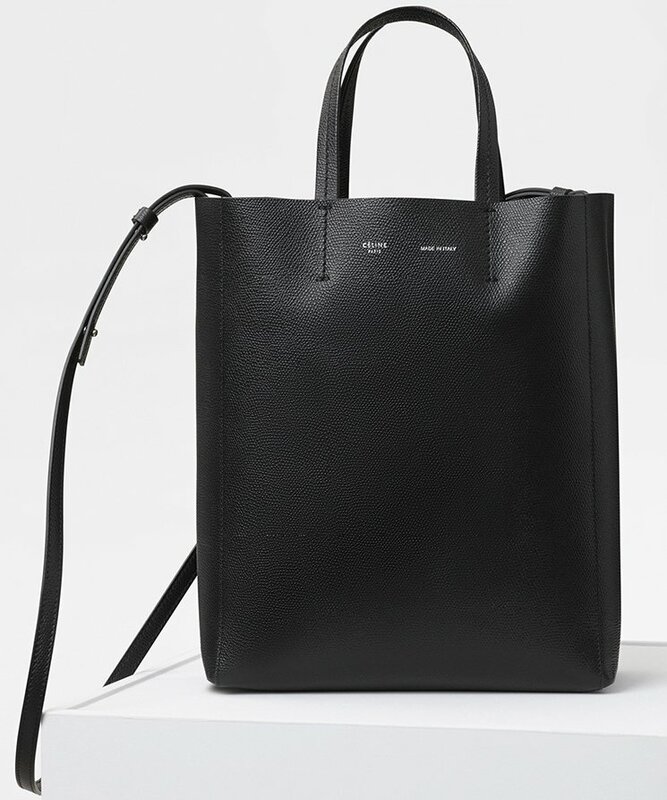 And by the way, to have some mixture different styles in your wardrobe is a healthy thing. 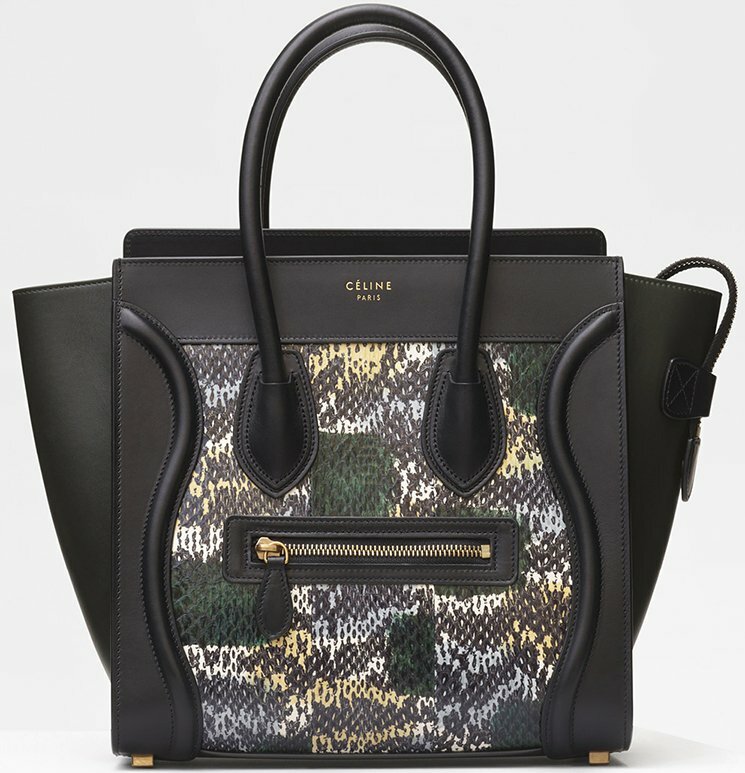 There are two reasons why you should opt-in to this Celine Tartan Trio Bag; first the Trio Bag is part of Celine’s Classic Collection, secondly it’s a new style. 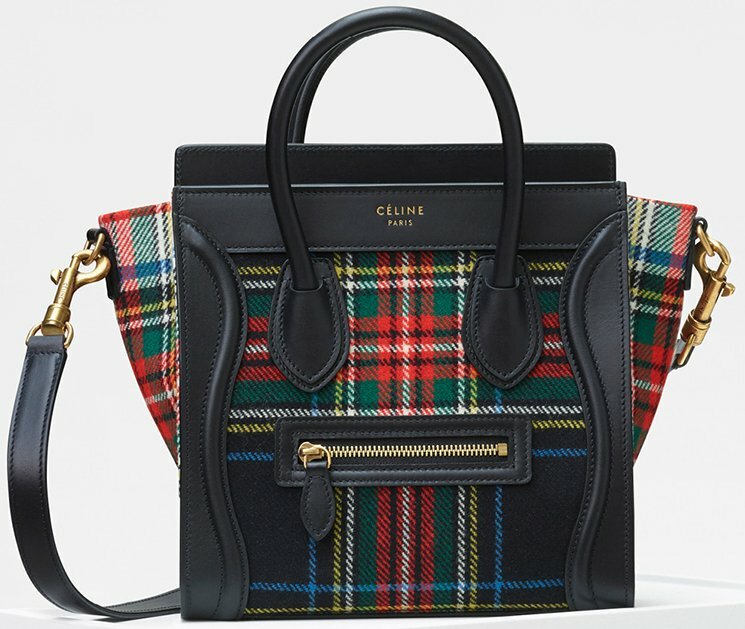 You see, the Celine Trio Bag is usually available in solid colors, so having the tartan edition is like a blessing. 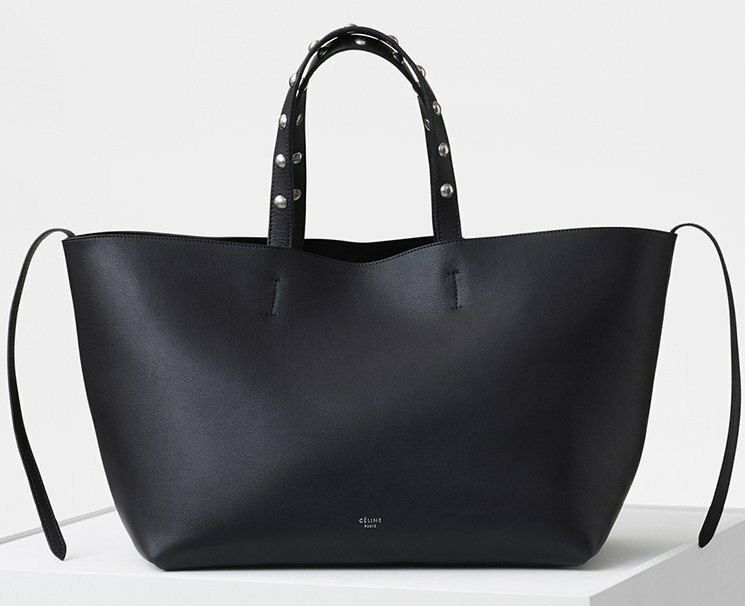 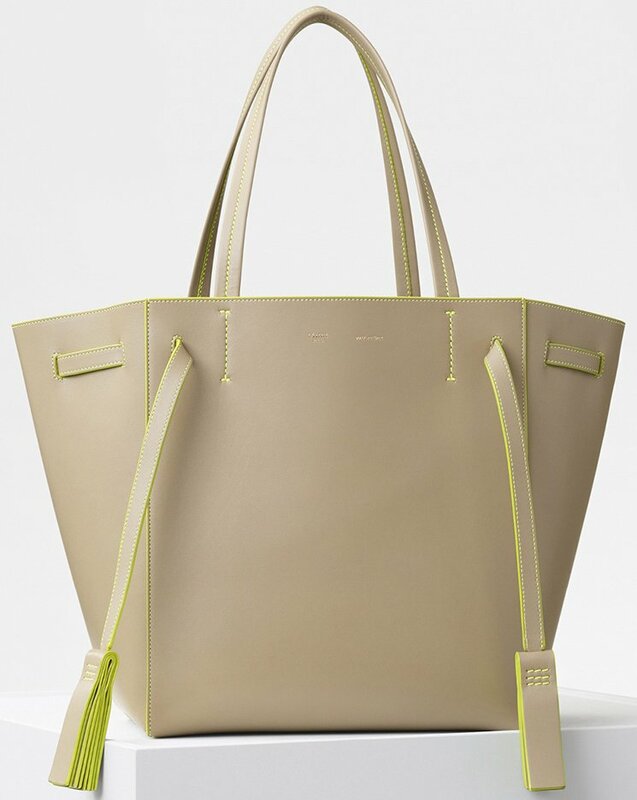 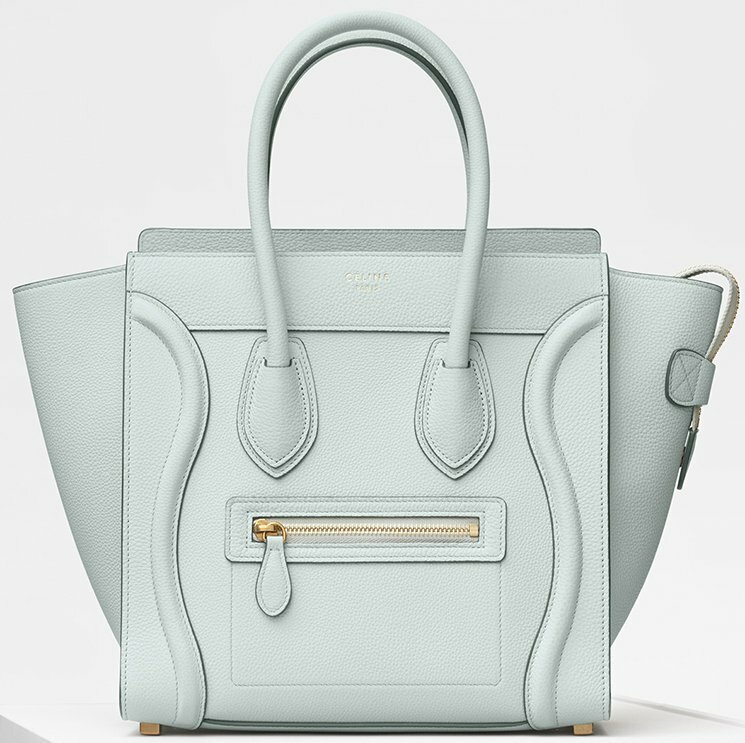 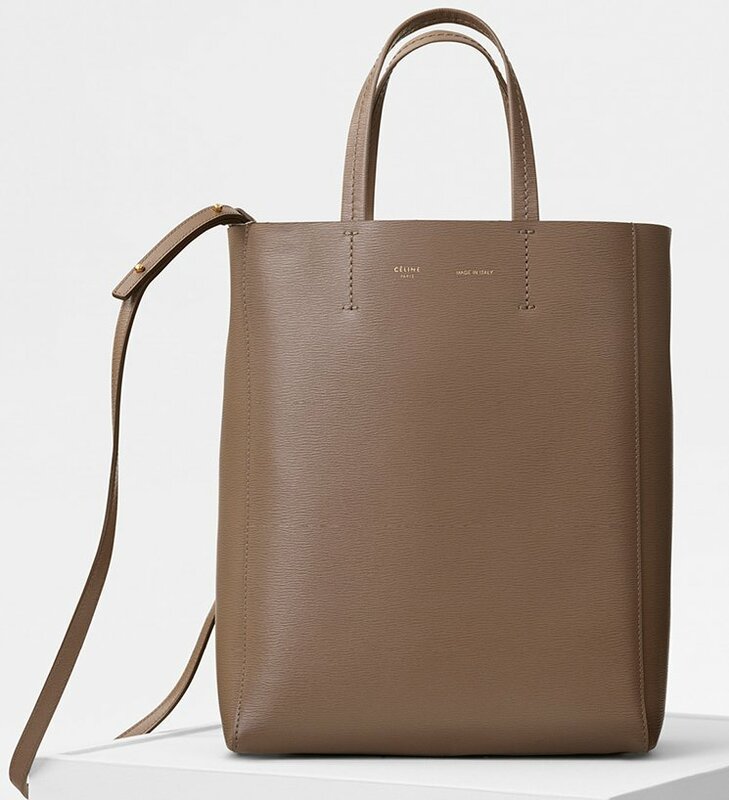 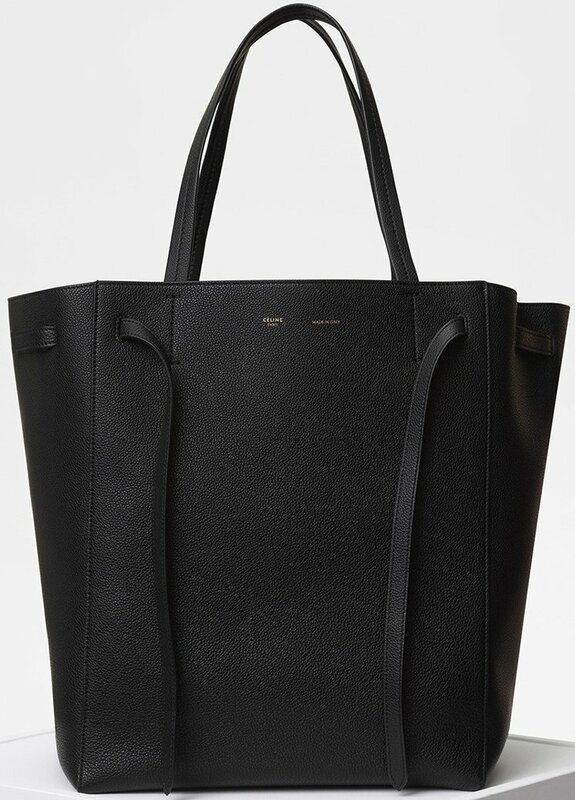 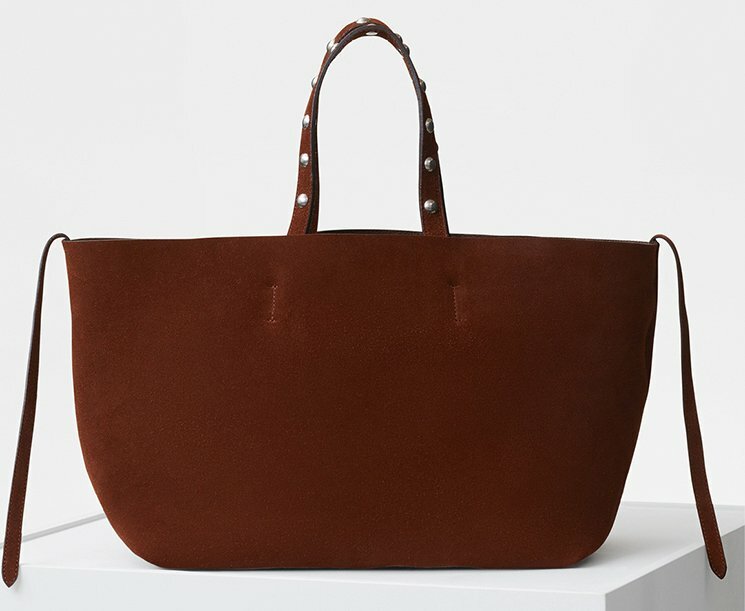 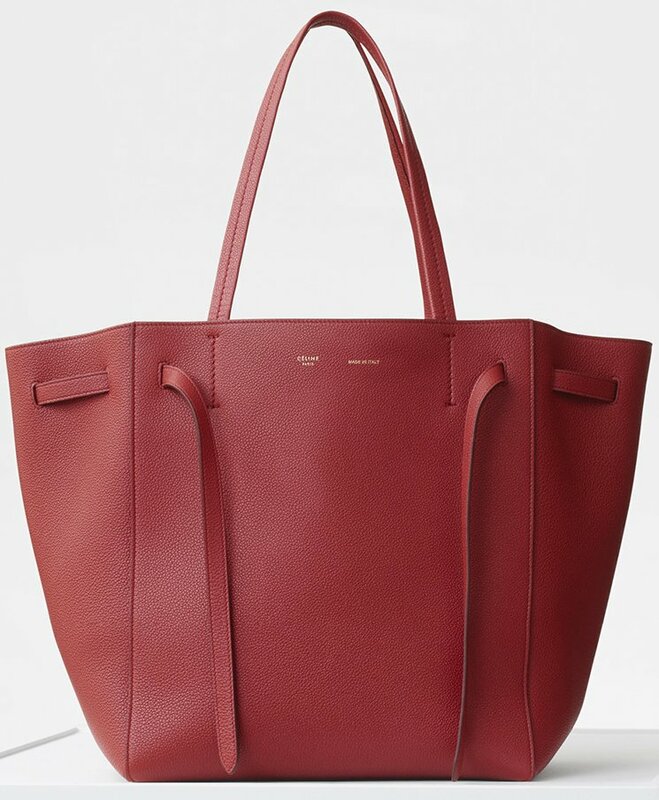 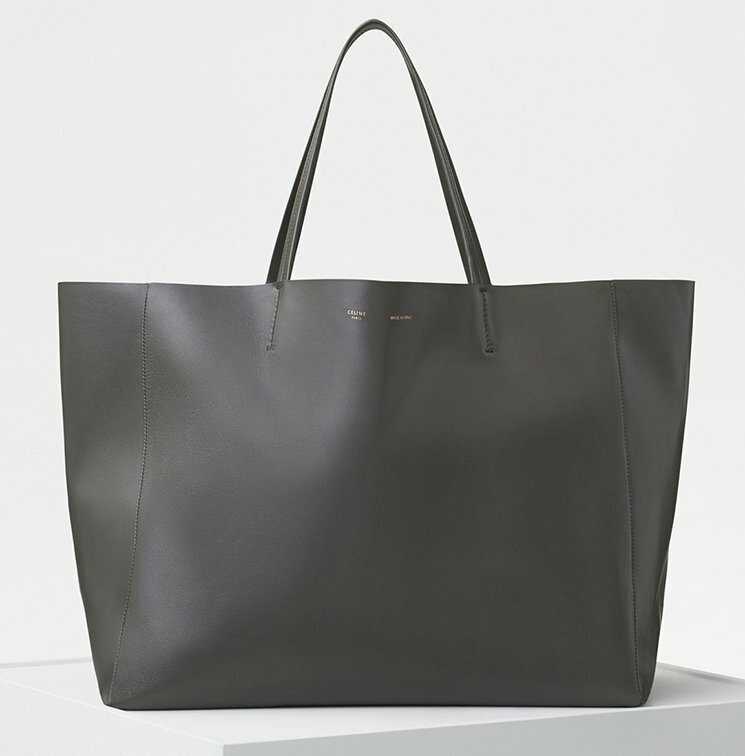 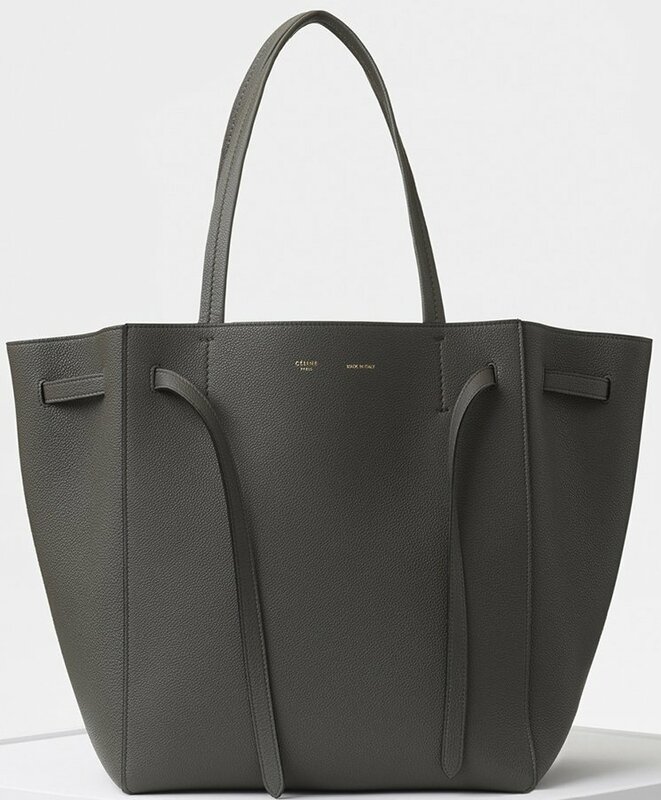 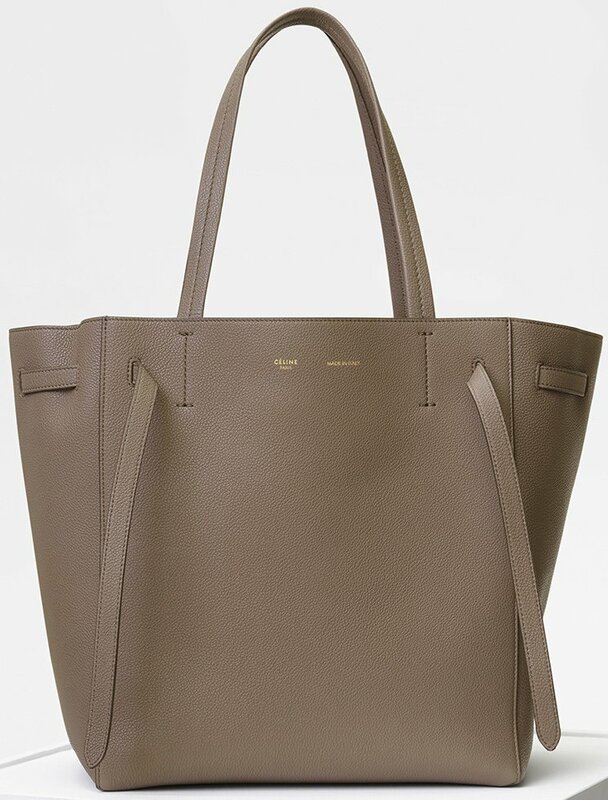 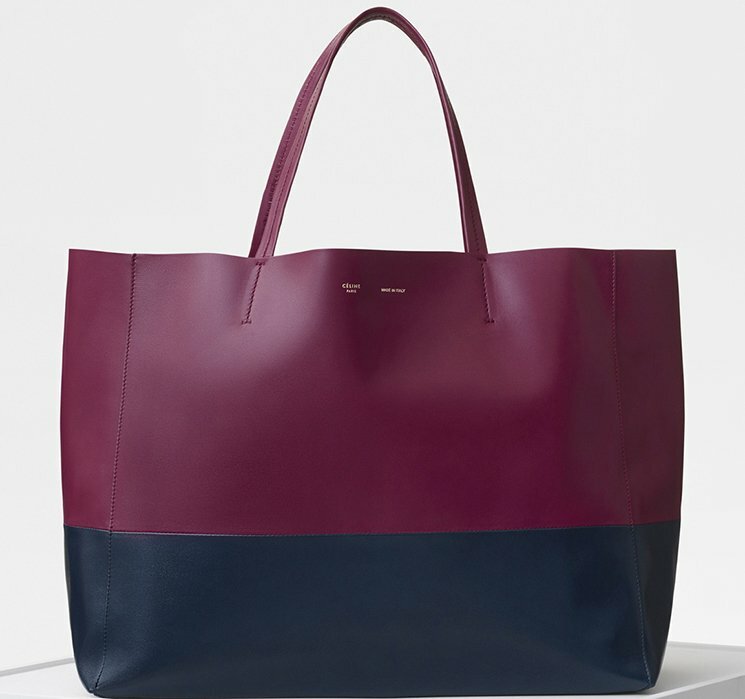 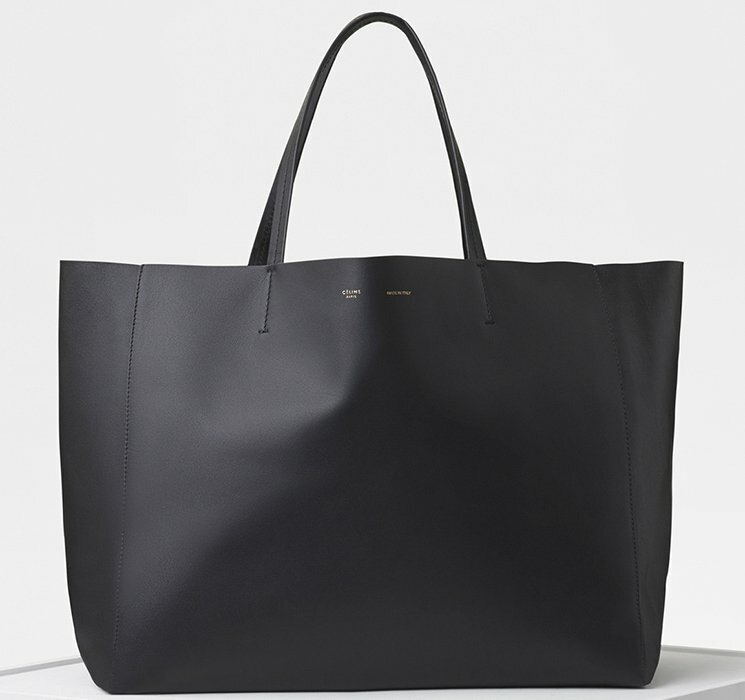 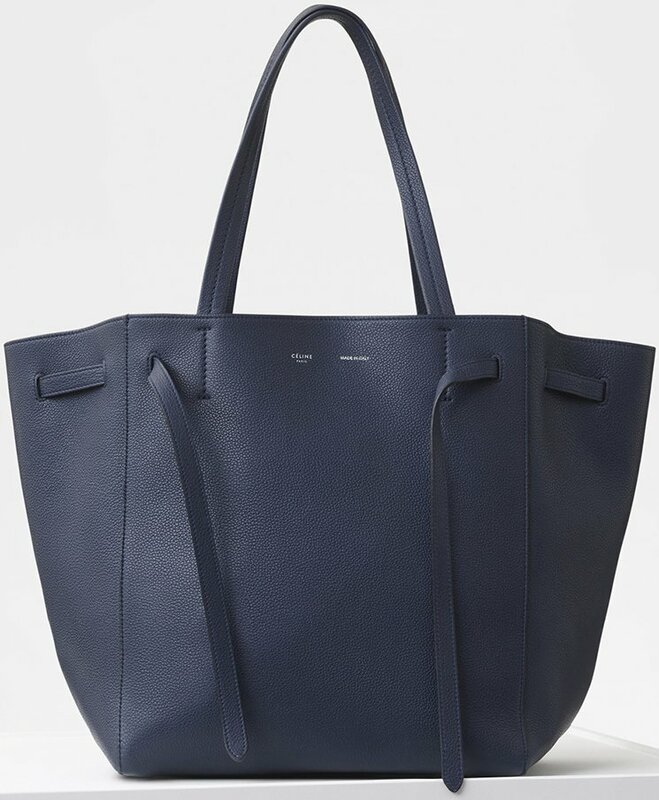 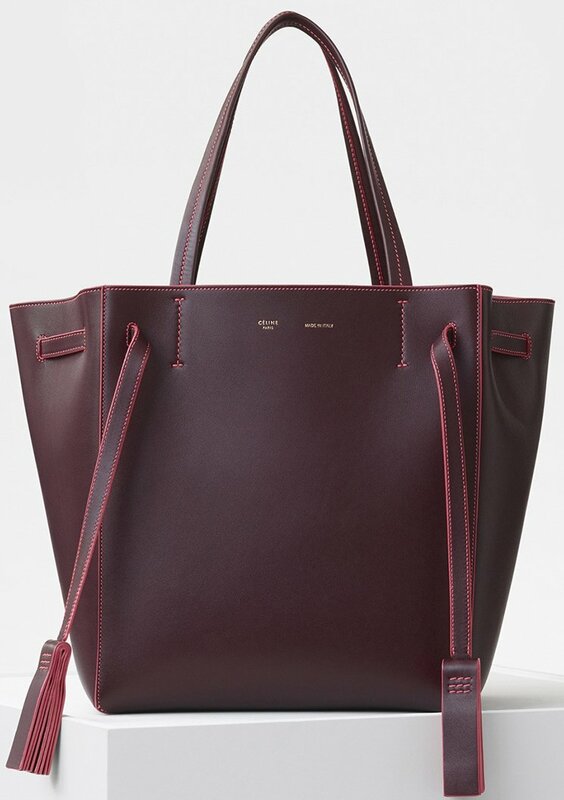 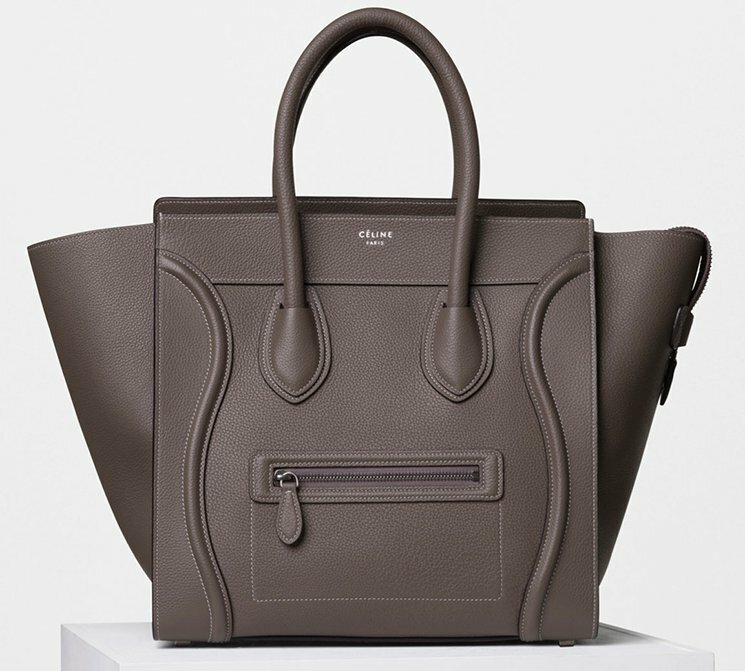 Third, the awesome price of this bag; it’s affordable for a high fashion brand like Celine. 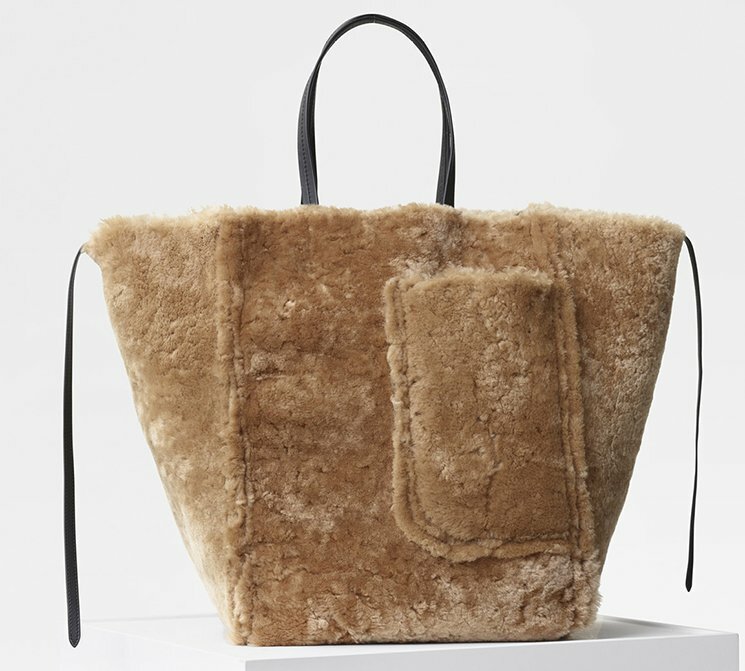 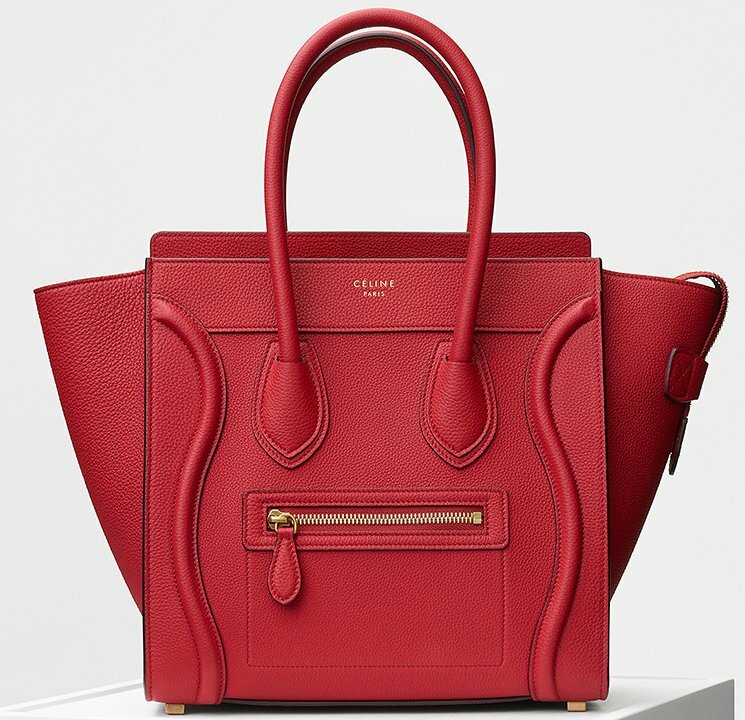 And oh yes, there is a fourth; the Celine Trio Bag is practical for daily use and has three pockets. 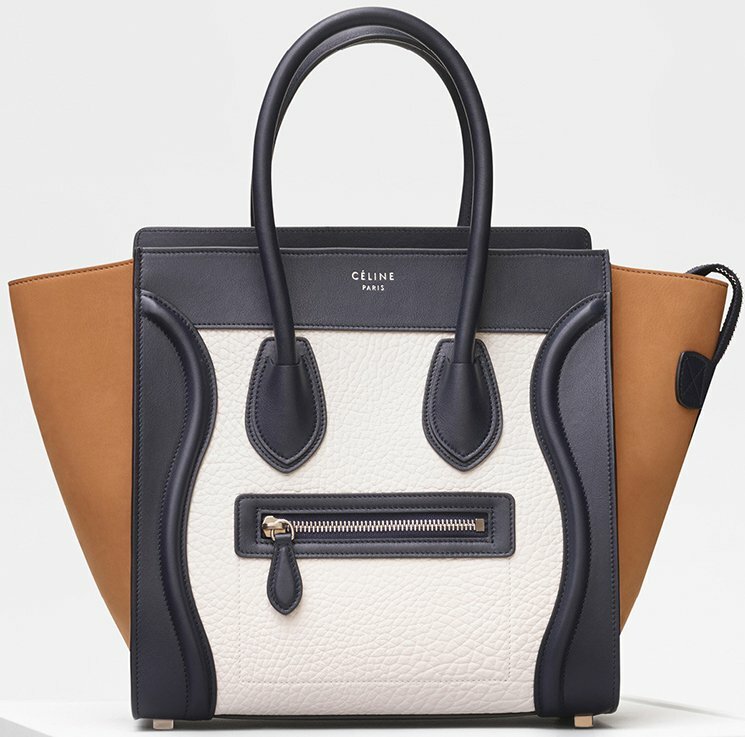 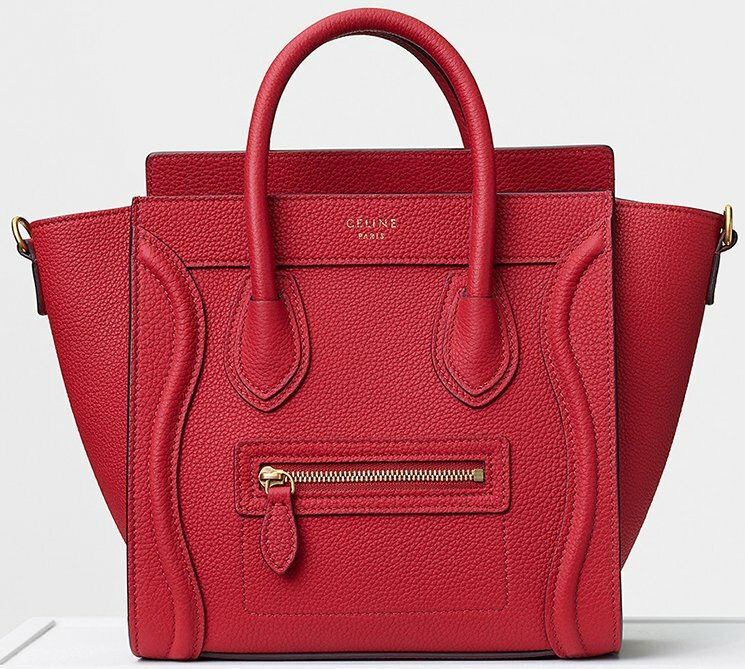 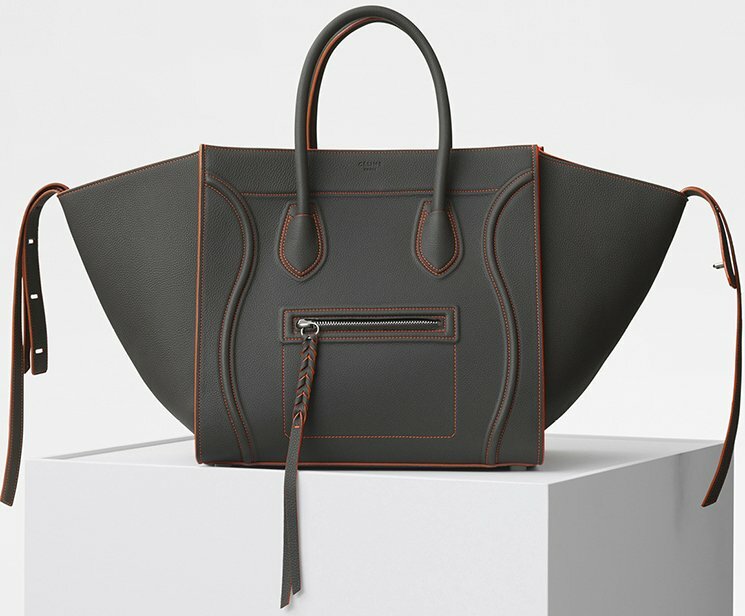 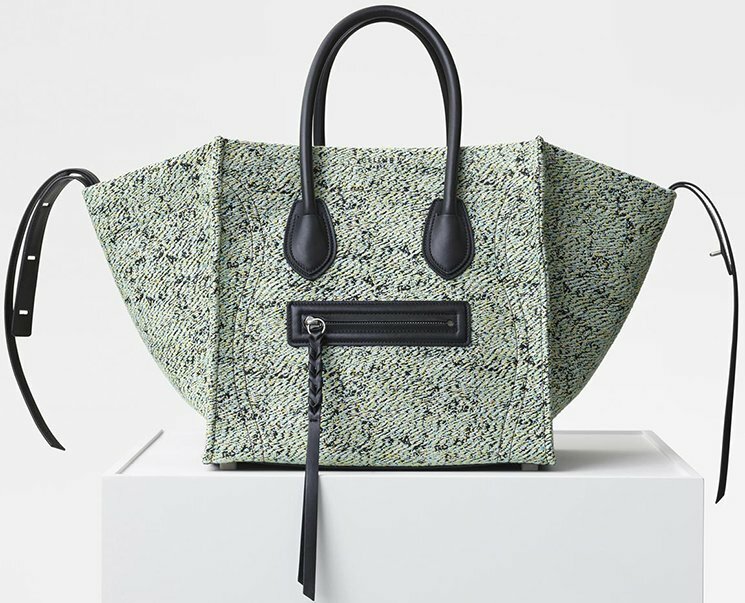 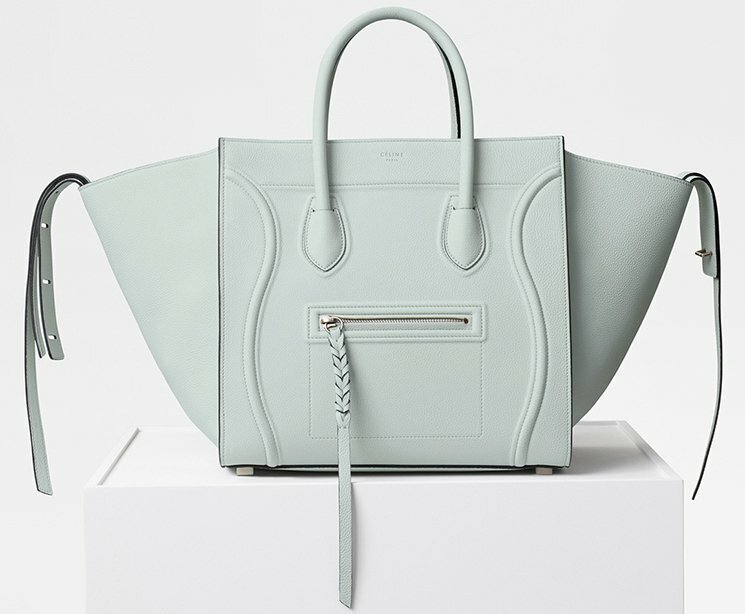 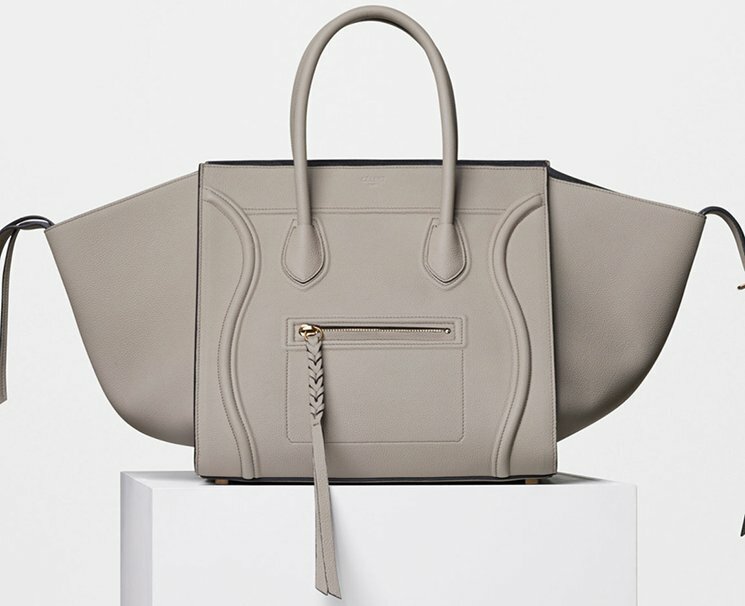 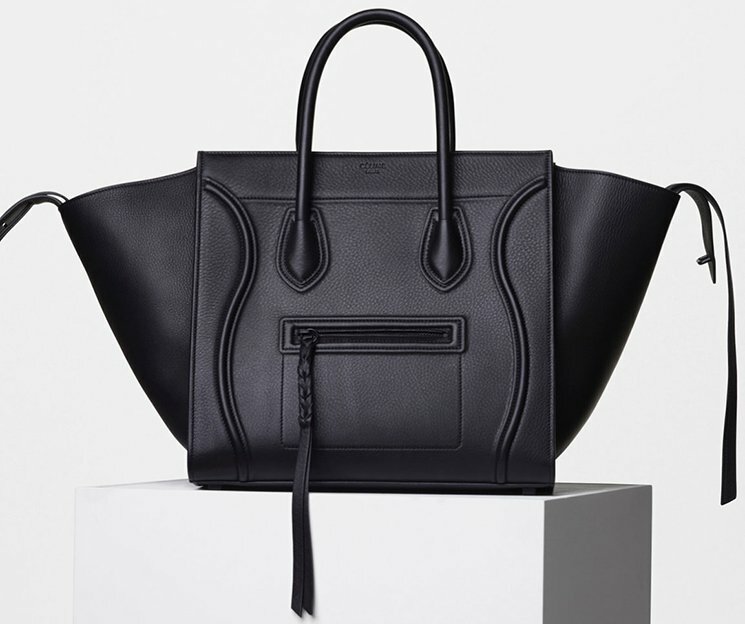 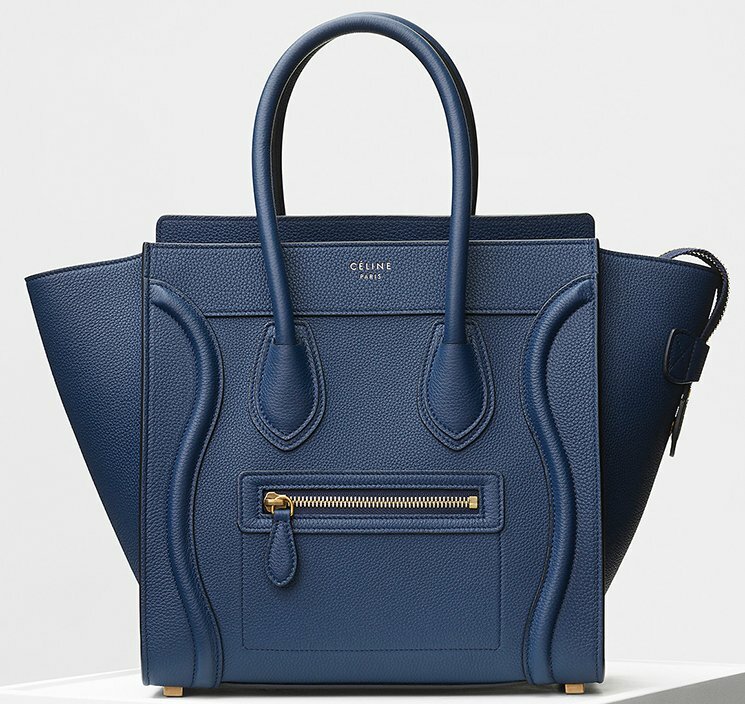 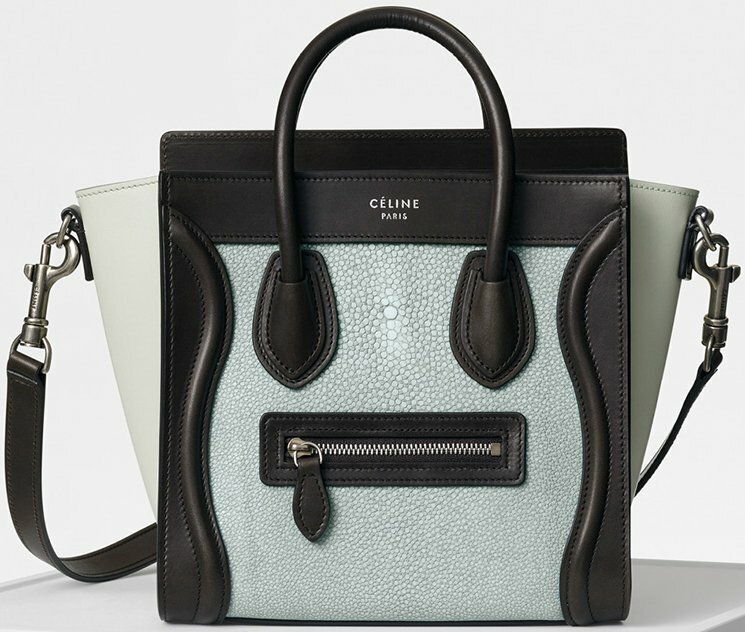 We’ve seen Celine Luggage Bags in numerous of styles and this new design catches our attention. 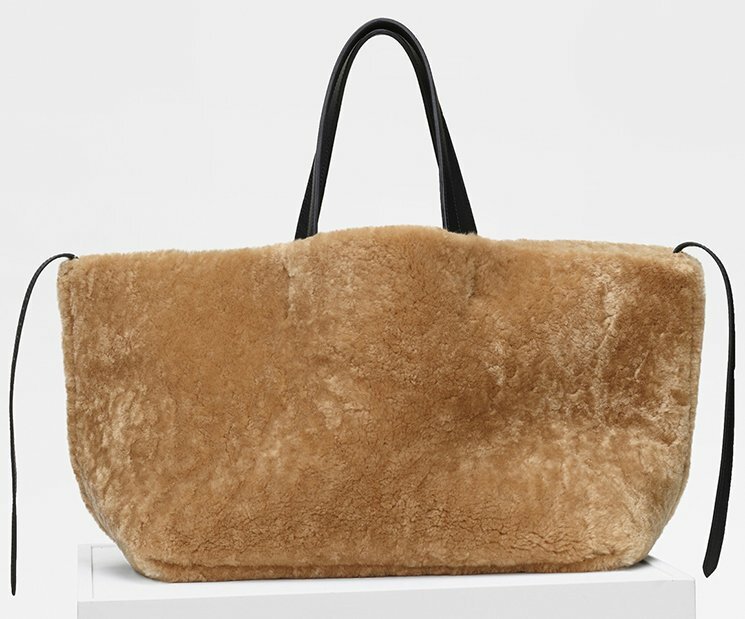 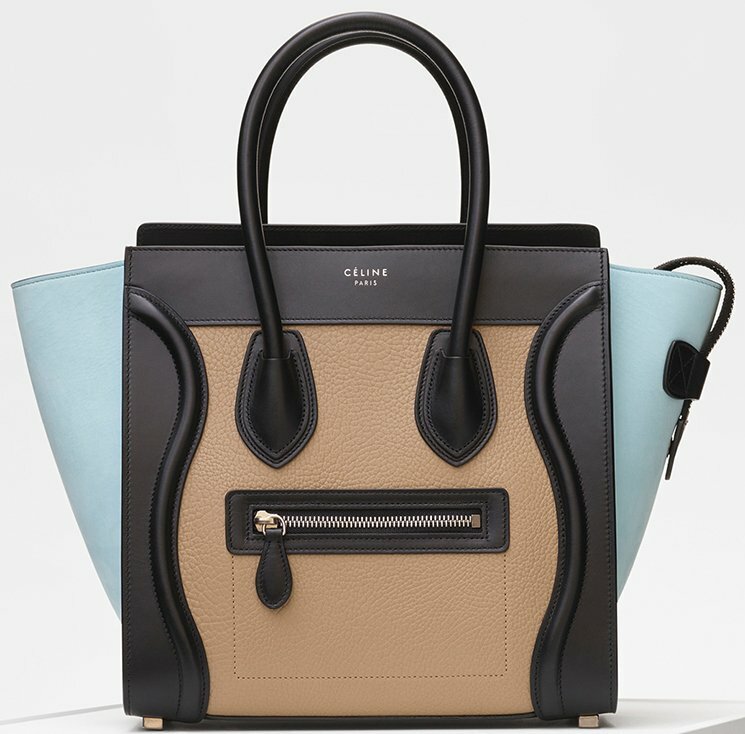 For those that are familiar with Luggage Bags, they usually come in solid, bi and tri-colors, but lately Celine also make small adjustments so they look slightly different and unique. 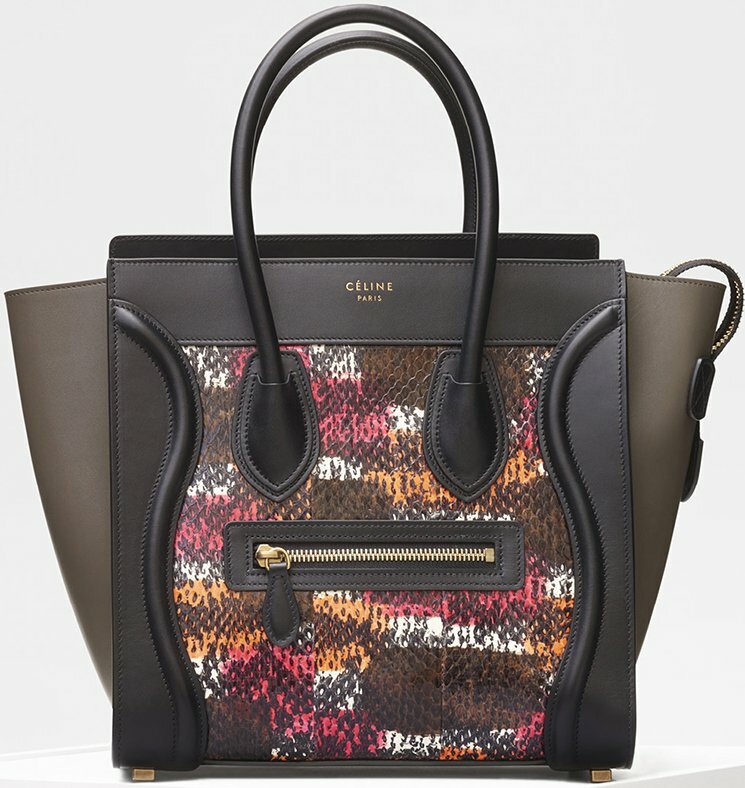 For the Fall 2017 Collection, Celine doubles down on the multicolor stitches; you can see this on the front of the bag; the wave design, the end of the handles and around the front-zip pocket, Celine highlighted the look with multicolor stitches. 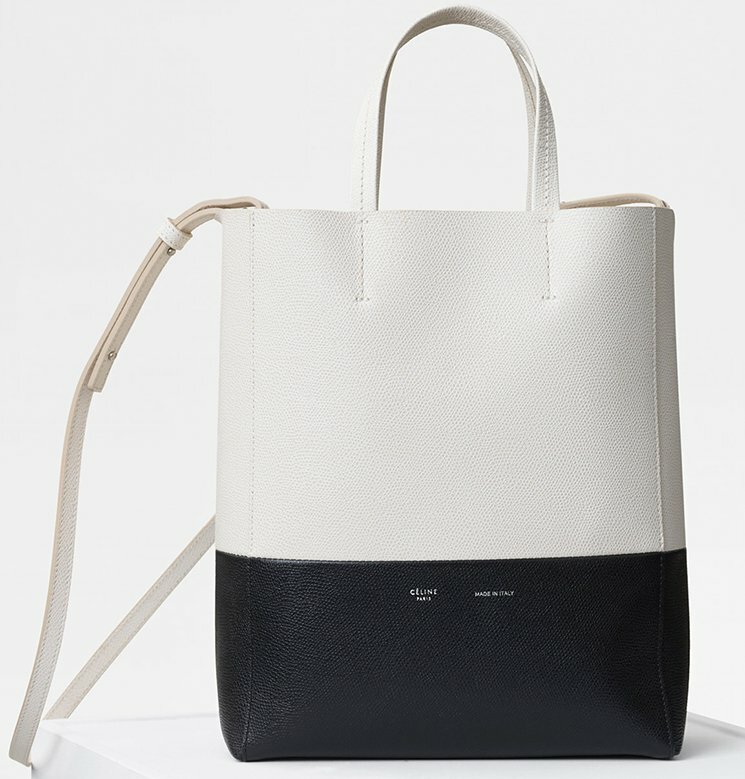 And do we like it? 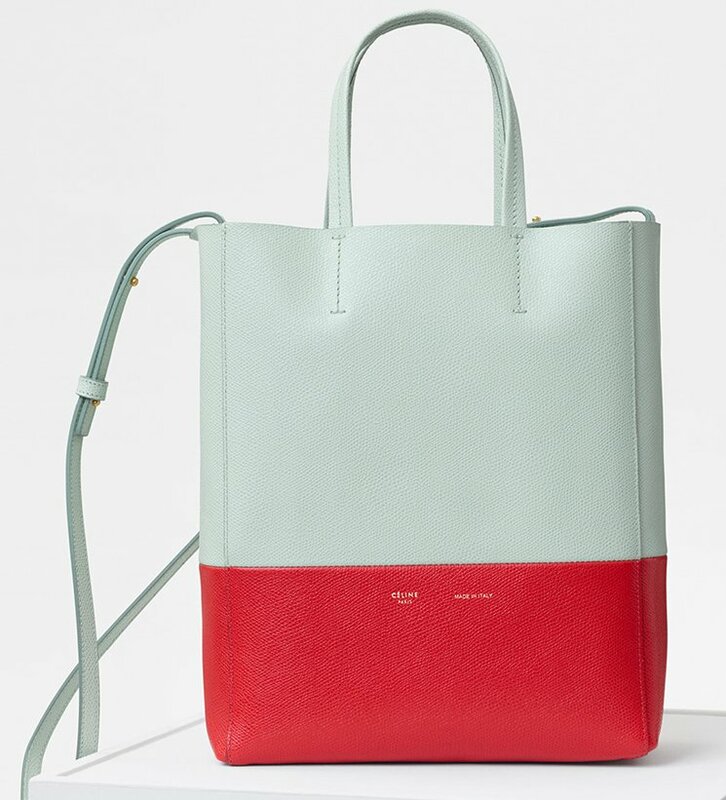 We love it because this bag will separate you from the crowd. 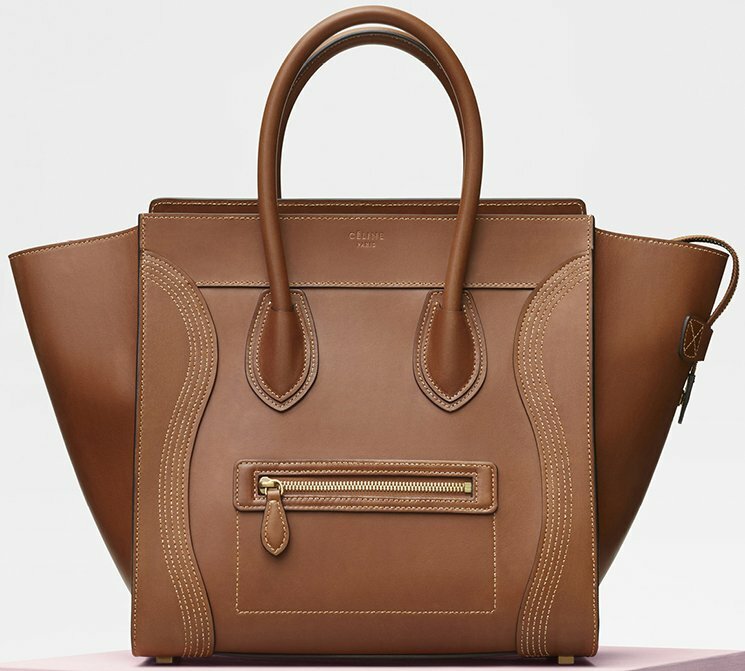 The adjustment might be small, but the impact of the overall look is impressive. 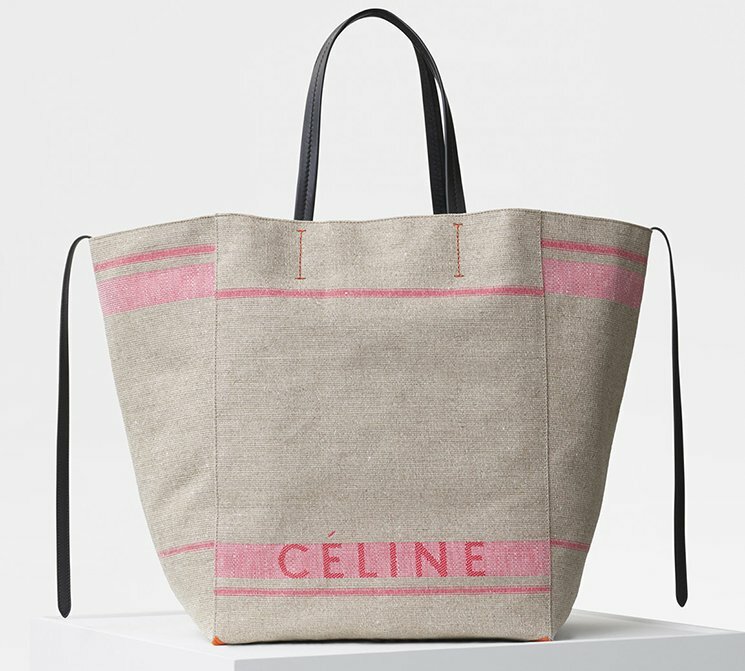 Last season we presented the Celine Cabas Phantom Bag in Canvas as well, which we think is the perfect summer bag (or beach bag). 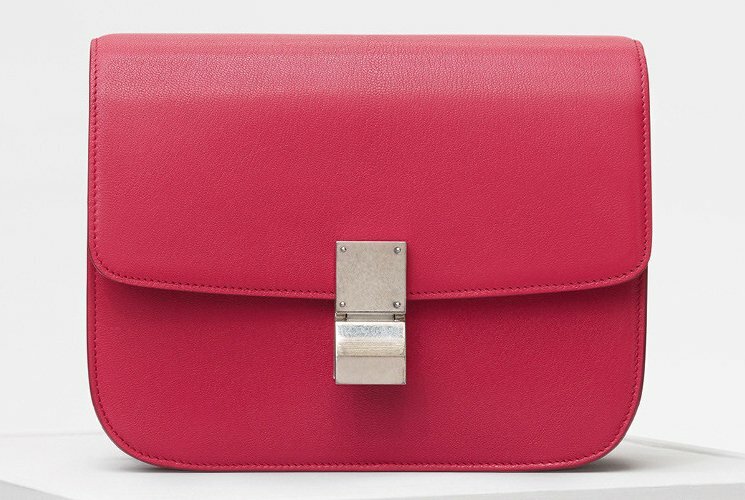 The house has included this style in their new collection, but in brighter colors like pink and we love it. 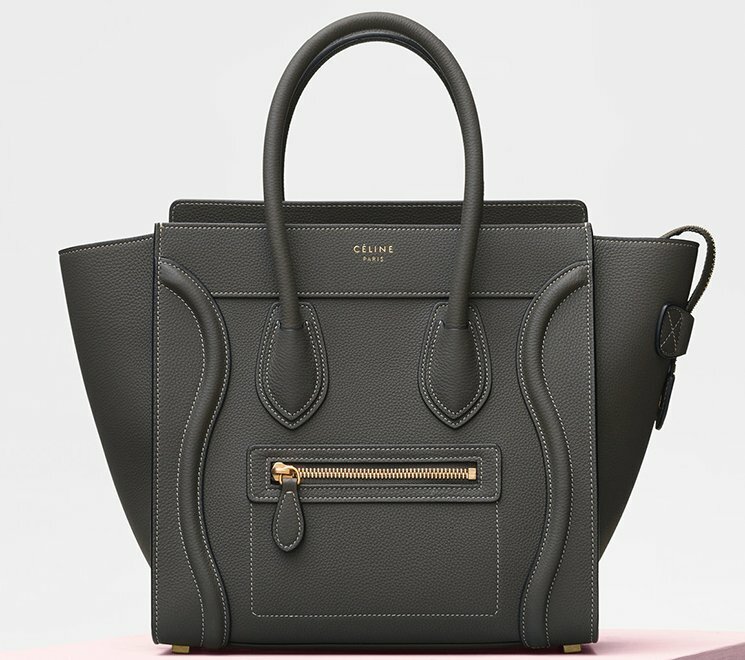 The Celine Cabas Phantom is a widely famous handbag and if you’ve already a lot of Celine bags in your wardrobe, then you might want to consider adding a new style to your never-ending collection.